Yesterday there were some pretty big announcements from Google about their own social network Google+ at the event they dubbed A Morning with Google+. 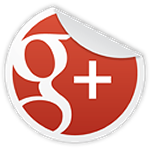 Apparently the whole thing ran a bit late because of a power outage, causing a bit of sniggering from some people, but in the end Vic Gundotra was able to present the new updates to the Google+ system mainly revolving around photography. I must admit that I didn’t pay much attention to it since I don’t even use many of the tools, but when I watched the video later I was alternately fascinated and bored – and also felt a bit patronized. The new features mainly revolve around things Google+ wants to make easier for the user – new video-editing possibilities with automatic enhancements and soundtrack creation, new auto-awesome animations for photos, an algorithm which automatically selects the “best” of your photos for you and much more. But this is really only for the ultra-casual user – Gundotra talks about how we take soooo many photos and we all have no time to sort through everything ourselves or do some necessary enhancements, so now Google+ will now do it for you. To be fair, the new online tools are only introduced as the first quick fix, because he also mentions the quite good Android photo editor Snapseed and for professionals the Nik Collection of filter tools, but the somewhat peculiar aftertaste is that Google wants to outsource creativity to the machine. I can understand Google’s motives and while I think the new features are impressive, they are not really for, let’s say, advanced amateur photographers like me. But this is not what I actually wanted to write about in this posting. Another Google product manager, Otavio Silva, posted a much more important update: Google is rolling out real, name-based URLs for everyone right now. Up to now, only really important people were able to get a human-readable URL on Google+, everyone else just had a long number. Now you can finally get an address like plus.google.com/+YourName – maybe this will be the last straw that kept many people from using Google+. The only problem is that at the moment this doesn’t happen automatically, instead you have to wait for some sort of notification via email or a message in your profile – I’m still waiting, while some of my G+ acquaintances already got their “vanity adresses”. But maybe I’m just a little impatient, after all I think I don’t need to worry that someone else snaps my name away since I’m pretty unique all over the internet! Bottom line: Google+ is still lightyears ahead of everyone else when it comes to inventiveness and engineering, although not all new features may be useful for everyone. This time I’m ready and won’t be surprised when the first podcast suddenly pops up! 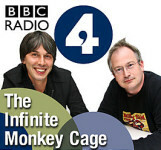 I’ve already noticed some weeks ago that Brian Cox’ and Robin Ince’s brilliant science-comedy radio show The Infinite Monkey Cage is going to return starting November 18th on BBC Radio 4 and, of course, after the broadcast as usual in shape of a podcast. No official word from the BBC as usual, but the news came from the Monkey Cage Twitter account and new episodes are already being recorded right now. And there are now 42 (yes, forty-two!) past episodes on the podcast archive site to download! I can only highly recommend this show – Brian Cox and Robin ince are utterly funny and their guests are always fantastic. Besides, it’s even educational, despite most shows ending up somewhere completely different than they originally started – but that’s just the fun of it. As usual, major English listening skills and a healthy curiosity about science are required, but it’s actually quite easy to listen to. And, of course, if you like Brian Cox and/or Robin Ince, you’re in for a very special treat :-). Vor kurzem hatte ich herausgefunden, daß der deutsche Verlag Markt & Technik, hauptsächlich bekannt für seine große Auswahl an Computer-Literatur, von der Muttergesellschaft Pearson Ende dieses Jahres geschlossen wird. Ich muß zwar zugeben, daß ich seit langer Zeit keine Markt & Technik-Bücher mehr gekauft hatte, aber es ist trotzdem traurig, daß so ein bekannter Name plötzlich verschwindet. Der Verlag war einer der größten Einflüsse in meiner frühen Computer-Zeit in den späten 1980ern und frühen 1990ern, als deren Bücher und Magazine noch die besten auf dem Markt waren. Yesterday I found out that the German publisher Markt & Technik, known for its wide range of computer literature, is being shut down by its parent company Pearson this year. I have to admit that it has been a long time since I bought one of their books, but it is still sad to see such a big name suddenly vanish. Markt & Technik had been one of the major influences in my early computer history in the late 1980s and early 1990s, when their books and magazines were simply the best on the market. Today, NASA is 55 years old – the National Aeronautics and Space Administration became operational on October 1st, 1958 and back then there were not many other space agencies around. Today, almost every country of the world has one and there have been many groundbreaking achievements by all of them – but NASA has every reason to be proud of itself. 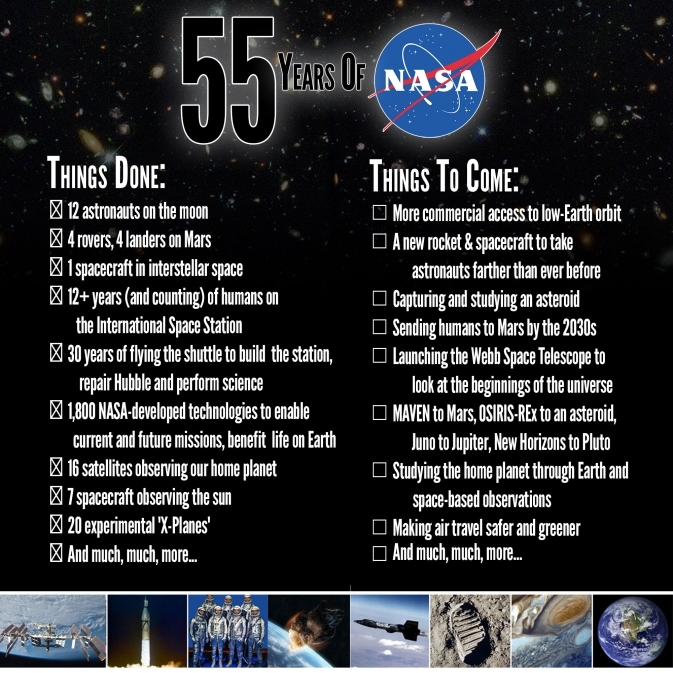 For the anniversary, NASA has posted a kind of laundry list of what has been made possible in the last 55 years. It’s not just Apollo, Space Shuttle and the space stations – from the beginning, NASA has always been and always will be about understanding the nature of the universe. But what does NASA get for its birthday? It gets shut down! Yes, that’s right – the US government shutdown also affects NASA. If you thought the sequester was bad, this is nearly end-times armageddon: NASA will stop just about everything except the bare necessities. Universe Today and Bad Astronomy have detailed articles about the situation, which is nothing short of unbelievable: 97% of all employees are being furloughed, meaning being sent home without pay. The rest also will have to work without pay to keep the shop running, which means keeping contact with the space station, controlling robotic missions and other essential things. On a more positive note, Emily Lakdawalla from the Planetary Society has said in an article that everything controlled from JPL and APL, which are private companies under NASA contract, will continue, which means that the initial news that the Mars rovers are going to be put in hibernation was false. But all scienctific operations at NASA have ceased and there is danger that future missions, like the coming launch of the MAVEN Mars orbiter, will be severely affected if they, like in this case, miss a launch window or worse. Also, as of only a couple of hours ago, all the NASA websites have been taken down and redirect to a status page. NASA TV has also ceased broadcasting, and all NASA public outreach and education activity even on social media has stopped completely. Space journalist Amy Shira Teitel has called this an information black hole for space news, and she’s absolutely right – this is taxpayer-funded information, which should be accessible to everybody regardless of funding. Stopping to update the websites is one thing, taking them offline altogether is a whole new dimension – but I can imagine that NASA has done this not out of malice, but to show how essential they really are. The government shutdown could not have come at a worse time for NASA and it shows the utter disregard of a certain political party for everything which has remotely to do with science. Of course, the government shutdown does not only affect NASA, but an unbelievable amount of people, institutions and services. Zoos, national parks and everything else not in private hands will simply cease to function, hundreds of thousands of people are not getting paid – something which is completely and utterly unbelievable from an European perspective. I think Pamela Gay’s posting on Google+ sums the situation up very well and I can’t possibly add anything more to it except… this is total madness. And that’s about as political as it’ll ever get on my websites.